Amit Shah Questions Rahul Gandhi After Clean Chit From Rafael Deal: 14/12/2018 Today News In the case of alleged scam on the Rafale Deal, BJP got an attack on the Congress after getting the clean chit to Modi government from the Supreme Court. 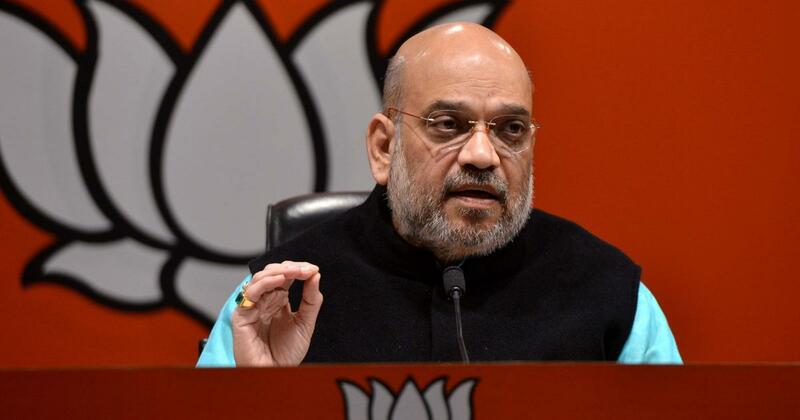 BJP president Amit Shah has said that the Supreme Court's decision on the Rafale deal has won the truth. Shah, attacking Rahul, said that after the clean chit of the rafale deal, they should keep all the evidence in front of the country, on the basis of which they were accusing the government. The BJP president said that the people of the country will never agree that the watchman is a thief. Explain that Rahul Gandhi had accused many of the forums on the PM Modi scam and said that the custodian of the country is a thief. In response to a question, Shah said that the loss-benefit in the election is a different matter, but such allegations should not be made on issues related to the security of the country. Shah asked Rahul Gandhi to apologize. Let us tell you that during the assembly elections in five states, Congress and Rahul Gandhi raised the issue of the alleged scam in Rafale Deal with a loud noise. While dismissing all petitions filed on Friday, the Supreme Court said that there was no irregularity in the Rafale deal. After this, the Central Government and the BJP have come to the front foot. Amit Shah said, Such a great effort has never been done to mislead the people of the country on the basis of a falsehood after independence. It is unfortunate that this effort was made by the President of the country's oldest party. Rahul Gandhi has started a new politics to resort to lies. Today's decision of the Supreme Court is staggering on the face of such politics. The four petitions filed separately inside the Supreme Court, mainly three things were questioned. Decision process, price issue, and offset partner On the three issues, the Bench headed by Chief Justice has given its order. Expressed satisfaction over the decision-making process. By examining the records of the records, the Supreme Court has rejected the demand for an investigation. The Supreme Court has recognized the quality of aircraft and its strategic need.